To start downloading videos free, it is important to follow the following procedure. This is the first step to downloading your preferred video or music for free. 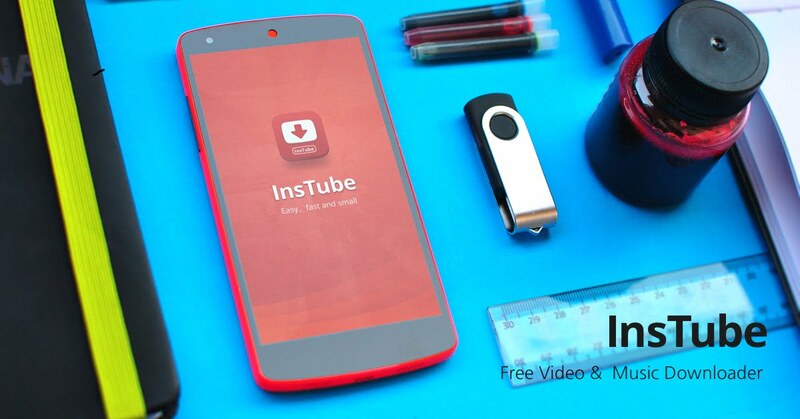 Note that Google discourages people from downloading videos on YouTube and, therefore, does include InsTube on Google App Store. You should download it from the InsTube page. Besides, people using Android smartphones should allow their phones to download and install apps from other sources. Remember to activate, and the allow installation from other sources only for InsTube to keep your phone safe. This will help you to single out the track or video to be downloaded. You can also open the video or song on the phone browser and copy the URL to the InsTube before the download can commence. The design of InsTube app was aimed at ensuring that the user gets the best quality of a video or music track. By opening the video or music, the app can check whether all the components, segments, and links of the video are present and working. Once the video starts playing, a red DOWNLOAD button will appear at the bottom. Click it to start the download. While playing video on your smartphone might look similar on any phone, the formats are very different. You could download music for free on a smartphone but find that it cannot be played. InsTube has a video converter feature that allows the user to select the preferred output format. If you will be playing the video on the laptop, it is important to select the appropriate format to avoid the need for more conversions. InsTube provides a new and exciting way to access and download music for free. The app is light and easy to install on your smartphone. Whether you want to watch the videos or listen to music when offline, InsTube is your ultimate companion. You can never go wrong with the tool.